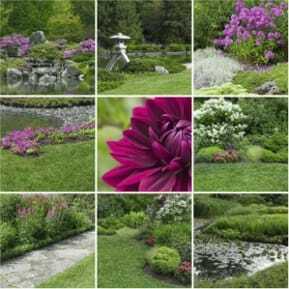 Receive A Free Landscape Design Estimate! Call Now. Merlino's Landscaping designs, installs, and maintains custom landscapes and durable hardscapes in Detroit. We are the premier choice for lawn care and affordable landscape materials in the local area. Since 1981, our experienced landscape professionals have worked closely with homeowners and businesses to create custom residential, industrial, and commercial landscaping. Landscaping can enhance the beauty and value surrounding your home or commercial property. Trust Merlino's Landscaping to provide affordable landscaping designed for you! For a free estimate please dial (734) 589-0439. At Merlino's Landscaping, we stock and deliver a complete line of landscaping supplies. Our nursery offers a range of healthy, lush plants, shrubs, and trees. We feature decorative stone, boulders, and pavers for garden beds, pathways, and retaining walls. And our garden center maintains a compliment of top-quality exterior lighting, irrigation systems, and statuary. Call Us Today For Winterizing Services! Copyright © 2018 merlinoslandscaping.com All rights reserved.